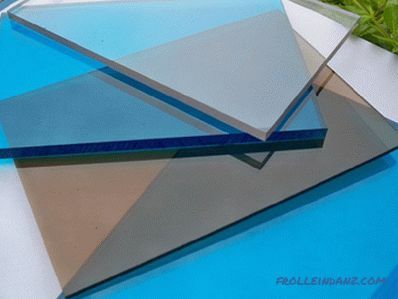 Transparent and colored plastics are widely used in construction for the manufacture of enclosing structures. 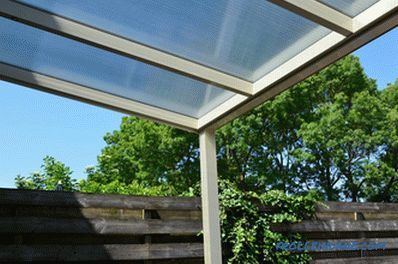 For a reasonable answer to the question, which polycarbonate is better for a canopy, it is necessary to understand its properties and characteristics. Manufacturers offer two types of panels: cellular and monolithic of different thickness and colors. Produced from the same raw material, they have a lot of differences. The choice of plastic type is determined by several factors and, above all, the requirements for the coating material for a particular canopy structure. The properties of polycarbonate are directly dependent on the structure: the honeycomb panels are hollow and have a smaller specific weight than monolithic ones. Accordingly, the cost of sheets varies the first will cost much cheaper. Cellular polycarbonate of various colors. 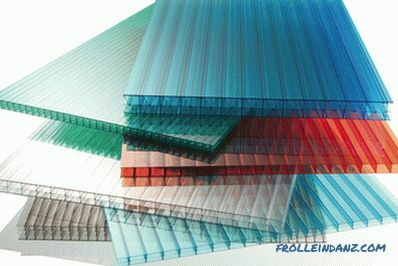 The most important criterion for choosing the type of polycarbonate is its decorative properties. If the stylistic decision requires the use of a material similar in appearance to silicate glass, then monolithic sheets should be preferred. This material allows you to create original designs, including complex shapes. In addition to the transparent panels there is a large selection of painted in a variety of colors. 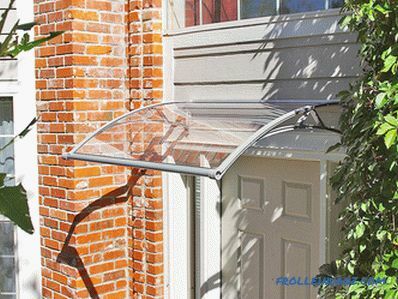 A functional and practical canopy, without any special design frills, is made of cellular polycarbonate. The low specific weight of the panels allows the carrier frame to be extremely lightened, provided that the necessary strength and stability is ensured. In the manufacture of the power structure for such a canopy, a steel profile of a smaller section is used, which gives considerable savings. Comparing the parameters of polycarbonate clearly shows that cellular polycarbonate is almost nce times lighter than solid. 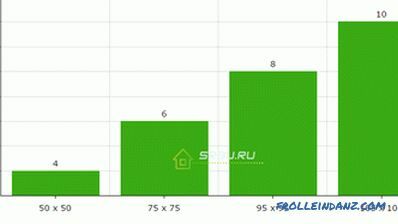 But the latter is 2.5 times superior to its competitor in service life. For the rest of the characteristics of the differences are not so significant. When choosing the type of panel, other factors are also taken into account: economic and decorative, as well as the geometric dimensions and purpose of the canopy. canopies and transitions between buildings. One of the most important characteristics of panels is resistance to mechanical stress. In this regard, cellular polycarbonate loses much monolithic. The anti-vandal properties of the latter allow it to be used in public places, where the probability of intentional damage to the structure is quite high. The technical characteristics of both the honeycomb and monolithic panels depend on several factors. In order to decide what kind of polycarbonate for a canopy, it is better to choose, first of all, it is necessary to determine its optimum thickness for a particular structure. 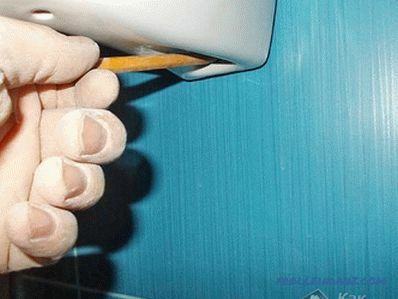 Regulatory documents in the field of construction SNiP 21-01-97 and SNiP II-3-79 contain recommendations on the use of this type of finishing materials. 4-mm panels can be used for relatively small structures with a significant radius of curvature, most often such polycarbonate is used for greenhouses and small canopies. 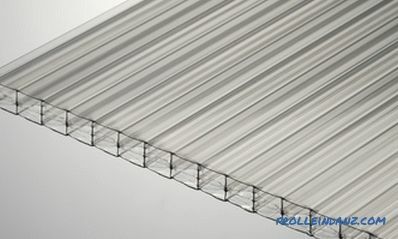 Polycarbonate sheets 6 and 8 mm thick are used to cover structures exposed to significant wind and snow loads, these can be carports for cars or swimming pools. Panels with a thickness of 10 mm and more are suitable for installation of canopies that are exposed to extreme climatic and mechanical influences of the external environment. 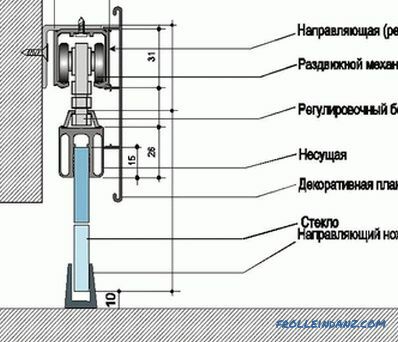 The snow load on the structure is calculated taking into account the requirements of SNiP 2. 01. 07-85 for specific climate region of the country. For cellular polycarbonate, the internal structure of the sheet for panels with a thickness of 16 mm and more is also important. Such sheets can be three-and five-layer with cells of rectangular or triangular shape. Depending on the purpose of the shed, for its manufacture, sheets of monolithic polycarbonate with a thickness of 2 to 12 mm are used. This material is more durable than cellular polycarbonate. For car sheds and visors, as a rule, polycarbonate is used with a thickness of 4 - 6 mm, because it is this thickness of material that can guarantee the reliability of the structure at different times of the year. 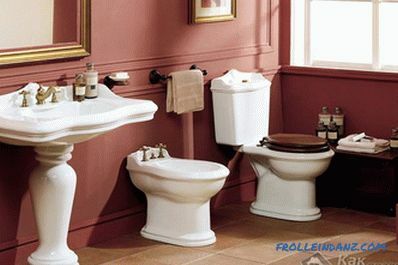 Architectural elements and building structures are perceived by others as part of a single ensemble. When deciding on the choice of polycarbonate color for a canopy, the general background and color of structures adjacent to nm are taken into account. Blue, green, dairy and bronze panels are especially popular with the population. They distort the true colors of the objects under them the least. When using colors such as red, orange and yellow, you should take into account the fact that all objects located under a canopy covered with any of these materials will have an appropriate shade. An example of using cellular polycarbonate in red and changing the shades of the objects under it. In addition to the usual translucent panels, there are also completely opaque sheets of silver or black. The use of such panels is appropriate for sheds, which should provide maximum shading of the internal space. Usually the color of the canopy is chosen to match the color of the roofing material of the roof of the main building, however, contrasting solutions also have a right to exist. When designing protective and decorative structures, many factors are taken into account. 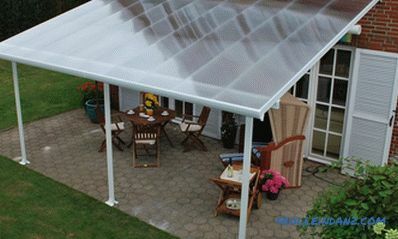 When deciding how to choose a polycarbonate for a canopy, first of all, the type of material, its thickness and color are determined. 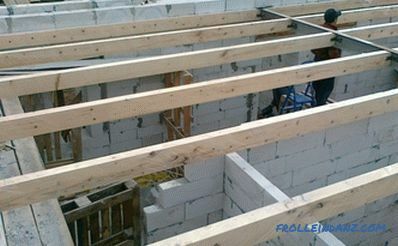 Cellular panels are applicable for private construction and erection of structures inaccessible to humans. Monolithic polycarbonate is used for anti-vandal buildings and other architectural elements of the original look.